In the early 1950s, Inuit artists produced many fine works, such as this piece entitled Inuk Fishing. The sculptor Akeeaktashook is believed to be the artist. A federally sponsored project provided supplemental income to the artists, preserving their skills and legends, which were passed on to the next generation. 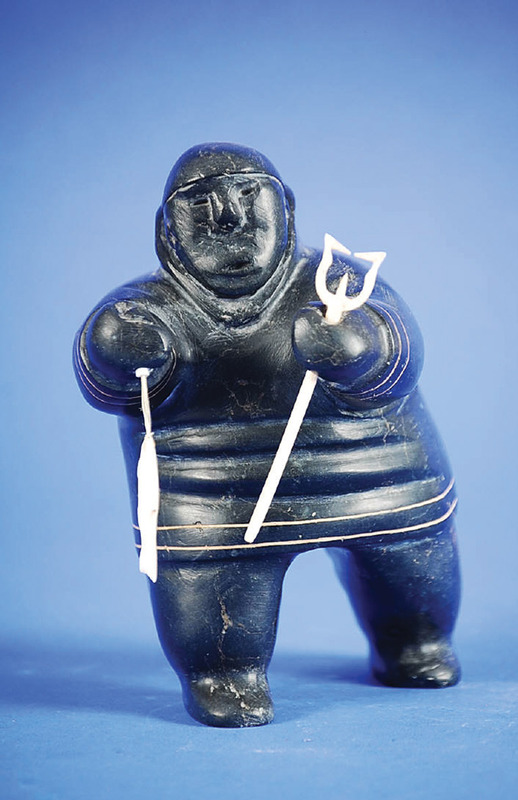 The Hudson’s Bay Company became a buyer, seller, and collector of Inuit art. Through a guide produced by the Canadian Handicrafts Guild, HBC staff learned what to look for, how much to pay, and how to market the artwork. The company opened three warehouses in Toronto, Montreal, and Winnipeg to house it.